This guide serves as a browsable index to the Coleman Scrapbooks. The Coleman Scrapbooks consist of approximately 60 volumes. Coleman began keeping them in 1930 and they include many things that struck hi s interest. 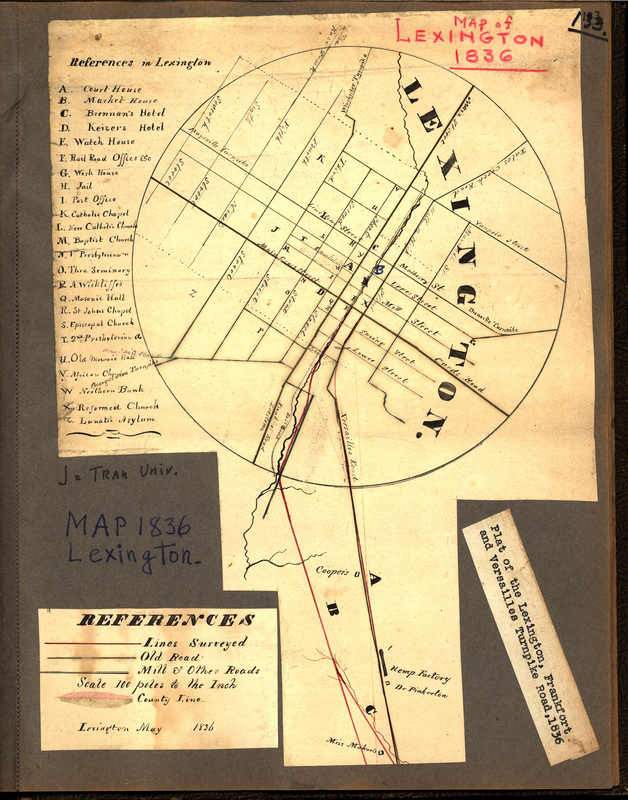 Most of the subject content has to do with Kentucky history with a focus on Lexington especially. Much of the material comes from news clippings but some are actual historical documents and signatures, sometimes from his grandfather's papers, which he glued into his pages. For instance begining on page 73 of the first volume we see a collection of signatures that have been clipped from their original context. On page 100 of the first volume there appears to be a contemporary copy of the indenture that sets aside acreage for the trustees of the town of Lexington dated 1795. The index of the scrapbooks was created by Coleman himself. John Winston ("Squire") Coleman, Jr., author and historian, eldest son of John Winston and Mary Shelby (Payne) Coleman, was born on November 5, 1898, in Lexington, Kentucky. He grew up on the family farm in Fayette County and received his early education in Lexington at Miss Ella M. Williams's Private School and at Morton High School, where he graduated in 1916. Coleman attended the University of Kentucky and received a bachelor of science degree in 1920 and a master's degree in mechanical engineering in 1929. Between 1920 and 1924 he worked in Louisville for American Telephone & Telegraph; in Albany, New York, for Fort Orange Paper Co.; and in Hazard, Kentucky, for Green & Taylor Electric Company. He returned to Lexington in the spring of 1924 and, with John W. Davis, formed a residential construction company that functioned until 1936. Coleman then moved to Winburn farm on 240 acres in Fayette County he had inherited from his parents, and began farming. He sold the land in March 1966 and retired to the city of Lexington. 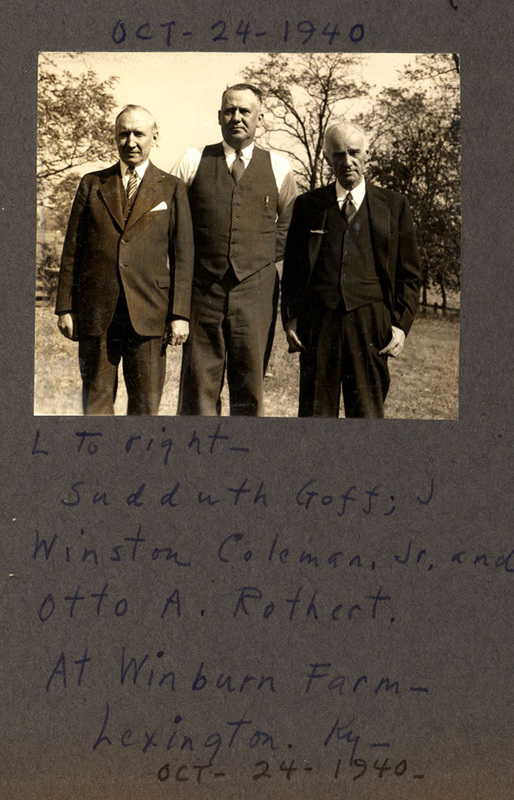 Coleman began researching, collecting, and writing Kentucky history in 1932 and became renowned for his work in state and local history, especially on the Bluegrass region. He wrote more than 150 pamphlets and articles on various Kentucky topics and more than twenty books; the first, Masonry in the Bluegrass, was published in 1933. His better known works are Stage-coach Days in the Bluegrass (1935), Slavery Times in Ken tucky (1940), A Bibliography of Kentucky History (1949), The Springs of Kentucky (1955), Historic Kentucky (1967), and Kentucky: A Pictorial History (1972). 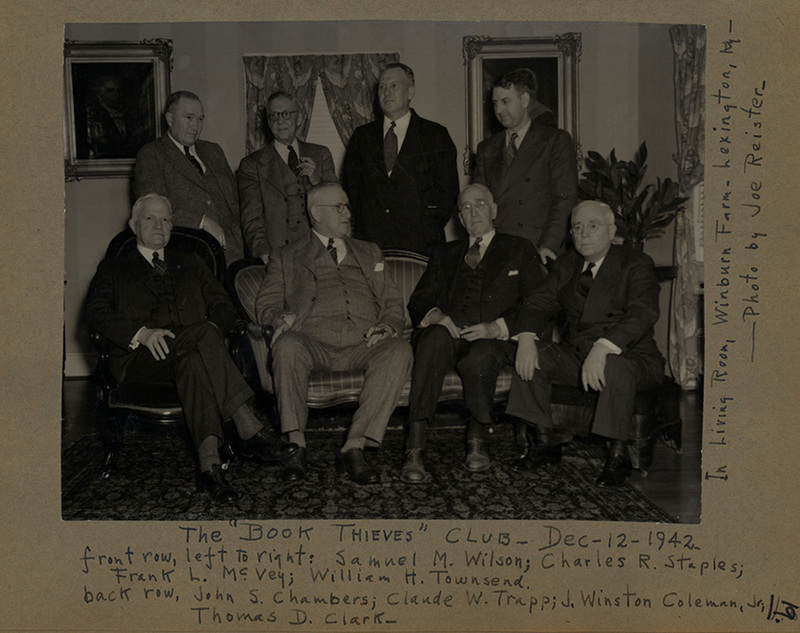 He belonged to an informal group of historians called the Book Thieves that met monthly. Coleman's private collection on Kentucky history included approximately 3,500 books, pamphlets, manuscripts, maps, atlases, and more than two thousand photographs and negatives. Coleman donated most of his large collection of Kentuckiana to Transylvania University. During his life, Coleman received numerous awards and honorary degrees, including doctor of letters from Eastern Kentucky University , doctor of literature from University of Kentucky (1949), and doctor of law from Transylvania University (1969). Coleman married Burnetta (Zumwalt) Mullen on October 15, 1930. He died on May 4, 1983, and was buried in the Lexington cemetery . Coleman, J W. The Squire's Memoirs: Life Story. Lexington, Ky: Winburn Press, 1976. Coleman, J W. An Autobiographical Sketch: With a List of Writings. Lexington, Ky: Winburn Press, 1954. Coleman, J W. The Collected Writings of J. Winston Coleman, Jr. Lexington, Ky: Winburn Press, 1969. Hamilton, Holman, and Edward T. Houlihan. Meet Squire Coleman (J. Winston Coleman, Jr.). Lexington, Ky: Privately printed, 1973.